1.1- Cities : This is a shortcut that shows the cities list that you have. Selecting a city from this switch will focus your map directly over it. 1.2- Bookmarks : Here, you can move between bookmarked castles, terrains etc - for your navigational ease. 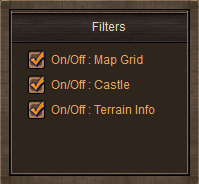 1.3- Filters : Filters provide you with control over what you view on the map. Just type in where you want to go, and click the arrow to home in on your desired destination. 1.6- A more advanced search is in the works. With it you'll be able to seek out people and places that you have an interest in. For instance - Highlight rivals that you can attack by level difference. 2. The basic mini map as you can see. We are not quite pleased with it at this time, so watch out for improvements on it. 4. Player castles you can spot out more easily from the Flags they have, but still search gets you there faster. Having a large kingdom with many cities is the way to become an empire. Currently you can control up to 10. Which will be more of a challenge when they can be taken from you. 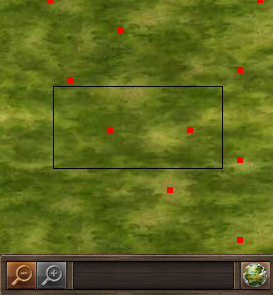 While income from additional cities is important, positioning is going to be a crucial point, especially if a stronghold you wish to maintain is far away from your main forces. 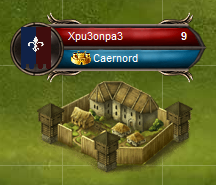 Only your capital cannot be captured with the Siege mode we are now testing. The number of cities depends on the level of the Palace in the capital - every level can control 1 more city - colonized or conquered. Terrain bonuses should be kept in mind when colonizing. 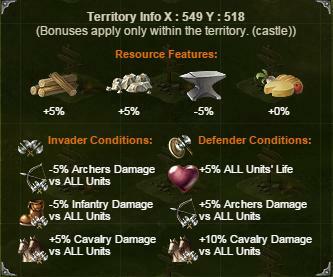 You can choose a terrain to colonize from the variety of advantages at your disposal. 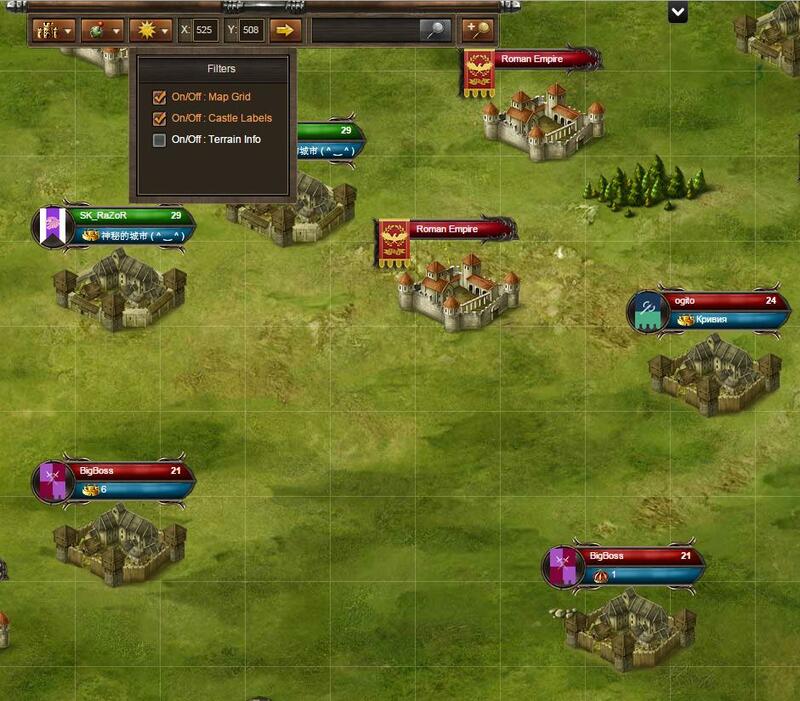 The screenshot below shows just one of the many available. Some have good resource production, others are better suited for military bases. It's up to you to pick which ones you like. We will post the full list of different terrains when we stop tinkering with them.